Four years ago, the US Supreme Court’s decision in the CItizens United vs. FEC case made the Tea Party possible. How did that happen, and what can we do about it? 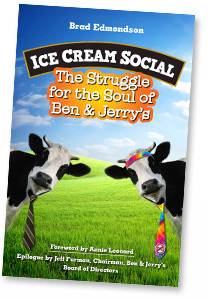 Annie Leonard, who wrote the foreword for Ice Cream Social and is the newest member of the board of directors of Ben & Jerry’s, explains.